IT’S NEVER a good idea to lash out at an opponent behind play. It is a really bad idea to do so a week after Dustin Martin was suspended for doing such. Geelong superstar Paddy Dangerfield threw an arm at Matt de Boer’s midriff at GMHBA Stadium on Saturday; de Boer slumped to the ground and Dangerfield seemed to throw another wayward arm which whizzed near the GWS tagger’s head. If Dangerfield was Lindsay Thomas, who seemed to be cited every time he made contact with an opponent, then he’d be given a week or two on the sidelines. But it’s Dangerfield, whose status as an all-time great complicates things, despite no one in authority ever admitting to that being the case. Just as it was so very convenient for the AFL system to allow Trent Cotchin to play in the 2017 Grand Final despite his cumulative actions supposedly meaning he shouldn’t have, we expect a fine for Dangerfield. And no, Chris Scott, we’re not trying to hang Danger on this incident, simply trying to get a proper read on what is, and what isn’t, allowed on a footy field. The message has never been more muddled. Incredibly, the Suns haven’t lost since, on Sunday securing a win with 14 seconds remaining against the hapless Carlton. St Kilda’s formline is stunning given the unavailability of key players in Jack Steven, Jake Carlisle, Dylan Roberton and captain Jarryn Geary (a late withdrawal yesterday). Jack Billings is becoming the player he was meant to be and Seb Ross is emerging as a genuine leader through example. It is a horrific record, which won’t be tolerated beyond this season. Sunday’s match against the Suns was there to win and now, clearly, Bolton doesn’t know how to conjure victory in such desperate circumstances. So nothing will happen to Bolton’s tenure soon, but it will happen unless he somehow conjures at least a half-dozen wins before the end of the year. This weekend, it was the Perth derby, the North-Crows match, Hawthorn-St Kilda, Gold Coast-Carlton, which as far as footy spectacle goes, were ugly, near-unwatchable slogs. And don’t confuse close scores with must-view football. If there’s one thing an AFL coach hates, it is the removal or erosion of any form of control. 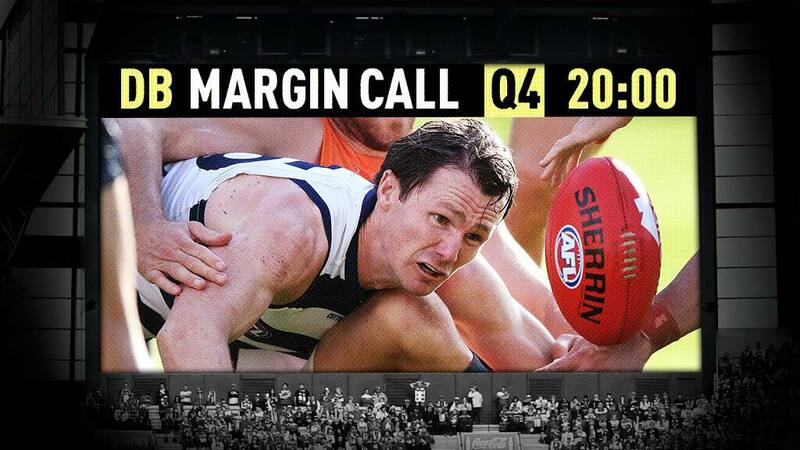 The Collingwood-Bulldogs game was close, and at times gripping. But any risks that were taken were inadvertent, and seemingly not encouraged – tactics not lost on Alastair Clarkson. “Who would’ve thought the Pies and the Dogs would have the game that they had? Ninety uncontested marks between them in the first quarter on Friday night, 10 inside-50s to nine, one goal to zero,” the Hawthorn coach said following his side’s loss to St Kilda in a low-scoring affair on Sunday night. The key numbers from the opening four rounds aren’t drastically down on last year but given the AFL itself felt the game so desperately needed an overhaul that it instituted massive rule changes, the fact there is no increase in scoring is now a 2019 concern. North Melbourne awaits this Friday (Good Friday), and then Collingwood the following Thursday (Anzac Day). It would be a big ask for an injury-prone big man, after a nearly year on the sidelines, to play both games. It’s a nice problem for Essendon, though, which had only bad problems a fortnight ago following two demoralising losses to open the season. The side’s match-winners are back in form, none more so than Anthony McDonald-Tipungwuti, whose seven goals against the Lions on Saturday took his tally to 11 from his past two games. North finally got its first win of the year, when it out-gritted the Crows at Marvel Stadium. There’s still not much spark to the Roos, and just 17,207 attended. Given this club’s sustained fight to have access to the Good Friday timeslot, it will be interesting to see how much blue-and-white is in the terraces at Marvel Stadium at 4.20pm next Friday. Jordan De Goey is now mesmerising to watch, even when he’s not among the best players afield. As for the Dogs’ Marcus Bontempelli, the best player afield against the Pies on Friday night despite his team’s loss – he’s actually playing better than ever. Bontempelli hasn’t finished lower than third in the past four Bulldogs’ best-and-fairest counts, and has won it twice. Well on track for a third, and the Brownlow. The Giants’ coming-of-age win against the Cats at GMHBA Stadium was unfortunately marred by the season-ending knee damage to co-captain Callan Ward. You can hear that too? That’s the bursting of the Port Adelaide bubble. As for their crosstown rivals, the Crows, we’re embarrassed right now to have tipped them for the flag. They’ll be lucky to make the eight if they play in the dreary manner of Saturday night against North Melbourne. Stepping up. It’s all a coach can ask for in a time of adversity, as this was for Damien Hardwick and his Tigers against Port Adelaide. Dylan Grimes stood up. Tom Lynch stood up, and now has 16 goals from his four matches as a Richmond player. Josh Caddy’s return was crucial too. Dusty Martin will return this week against Sydney. Jack Riewoldt will be a chance to do so too. Trent Cotchin isn’t far away. Things are looking OK again. Clearly, round one was an aberration for Fremantle. The Dockers booted 21 goals in their season opener against North Melbourne, and just 26 goals in the three matches since, including an embarrassing tally of seven, after just one at half-time, against West Coast in Saturday night’s Derby fizzer. The Eagles are doing everything right in their premiership defence. Ambushed by the Lions after quarter-time in round one, they’ve responded very well with wins full of authority against GWS and Collingwood. Don’t be misled by the 13-point margin on the weekend, either – they toyed with the Dockers.